Swimming is a unique sort of exercise because it somewhat frees you from the constraints that gravity usually imposes. This is a real advantage for people who are overweight, pregnant, arthritic, or suffering from other health conditions that can make high-impact, load-bearing activity unpleasant. Regardless of health status, many people enjoy the feelings of freedom and weightlessness that result when they’re submerged in a swimming pool. The backstroke provides you with a whole-body workout that’s especially beneficial to the latissimus dorsi muscle (also known as the “lats”) in your back. It also works out your chest, arms, legs, glutes and core. Consistent swimming on your back will help these major muscle groups grow stronger. You’re also likely to notice that your muscles will become attractively toned as your strength increases. 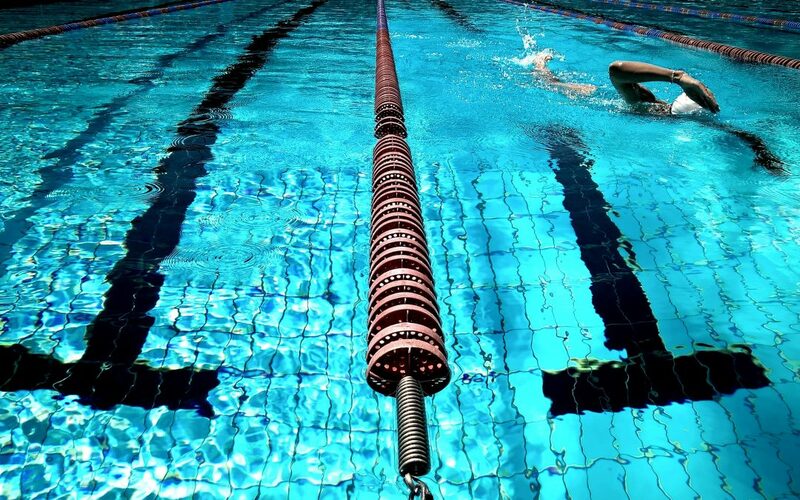 Swimming is considered a low to medium impact activity that can give you a fantastic cardio workout. Because the water is supportive of your weight as you swim, the backstroke is far gentler on your body than high-impact cardio exercises like running or jumping rope. There’s never a time when you hit the ground hard as you swim, which means it’s an exercise you may be able to safely perform even if you’ve been advised not to jog or run. (Of course, you’ll want to consult your GP for advice in that situation). You can burn between 240 –355 calories for every 30 minutes you spend on vigorous backstroking. The higher your body weight, the more calories you are likely to burn in this time frame. For comparison purposes, this is comparable to the number of calories you’d burn running at 8 kilometres per hour, playing basketball or playing beach volleyball. Multiple sources have reported that swimming the backstroke can sometimes provide pain relief for people who suffer with back pain. There are numerous possible causes of back pain. There are back pains that the backstroke can help to relieve, and others that it cannot. If you’re experiencing back pain, we recommend discussing the situation with your GP. Having your GP refer you to a qualified osteopath, chiropractor or physiotherapist is a logical first step in assessing how to resolve the situation and treat your pain. Be aware that Medicare does not typically cover such visits unless your pain is the result of a chronic disease or condition like osteoarthritis; in that case, it is possible that Medicare might cover up to 5 therapy sessions in one year. However, private health insurers do often cover this type of care under their extras cover insurance policies. It is possible that swimming, particularly on your back, could be a helpful part of your pain relief therapy. The backstroke can be a good choice of exercises for back pain relief because a swimmer isn’t as prone to hyperextension with the backstroke as compared against other strokes. The backstroke can help to improve the posture problem of rounded shoulders. When it is executed correctly, the backstroke can be therapeutic for posture because it helps to return the shoulders to their proper alignment. At the same time, it helps to enable the strengthening of other muscle groups that give support to the spine and shoulders. People are often able to build muscle faster by swimming than they are with other forms of exercise. Like weight lifting, swimming is an activity that makes use of resistance to increase muscle mass. When you backstroke, the water provides more resistance than air provides when you’re doing typical exercises on land. Some osteoarthritis patients are able to minimise their stiffness and joint pain by implementing a short but effective 3 day per week swimming routine. If you want to try this yourself, you’re likely to find that it only takes 45 minutes per session to realise these results. It is possible to achieve this type of success even if you are completely sedentary before embarking on your new swimming exercise program. Aquatic exercise is ideal for someone with this condition, as it places far less stress on the joints as compared against most exercises that are performed on land. If you’ve experienced too much pain from osteoarthritis to want to participate in land-based exercises, you may be pleasantly surprised by the results you’re able to achieve with swimming the backstroke. These are 7 of the most important health benefits that swimming on your back can provide. If you want to lose weight, or you suffer from back pain, rounded shoulders, burdened joints or osteoarthritis, swimming the backstroke could possibly be a beneficial addition to your therapy programme. If you want to add the backstroke to your regular exercise routine, definitely be sure to get input about your plans from your healthcare providers. They can provide you with valuable feedback and suggestions for optimising your workouts.